Humans are here to support, love, and encourage one another. We are interconnected and our actions, words, and thoughts create a collective consciousness that impacts us all. We have reached a point in history where with the assistance of technology we readily experience the web of connection and can offer support to one another in very real and powerful ways. Otauna’s mission is to create an ever enlarging space for humans to connect and encourage one another. Dot mandalas symbolize this work, the dots representing the individuals making purchases and participating in our programs, the organized mandalas signifying our unity. 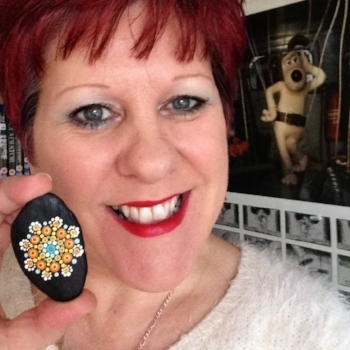 We are working to send an increased number of free Travelling Kindness Rocks as finances grow and inspiring a greater number of individuals dotting together from around the world, a symbol of peace and connectivity. We want to hear from people involved in our programs. Connect with us to share your story.